Everyone loves pizza, especially kids. But people on a diet try to avoid it, as it might pile on the kilos. Yet it can be part of a balanced diet, as long as it’s not buried under high-calorie toppings. And you can also rustle up some amazing as well as delicious variations. 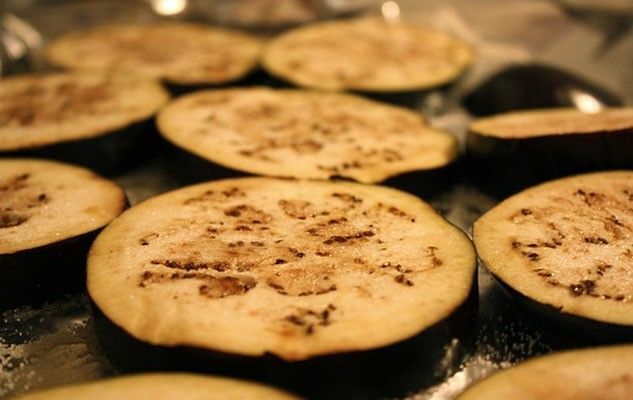 For example, try replacing the pie crust with a breaded and crisp slice of eggplant!!! This way, you’ll kill two birds with one stone: Not only will you dramatically cut down on calories, you’ll also make your children eat vegetables without their noticing 😉 And the result is worthy of a good chef at any fancy restaurant. Originally published in the Journal de Montréal on September 6, 2014.